BioMinF is a new toothpaste using advanced bio-glass technology incorporating calcium, phosphate and uniquely, fluoride within the bio-glass structure. It's a major breakthrough in oral health care and is the result of over a decade of scientific research at Queen Mary University, London. 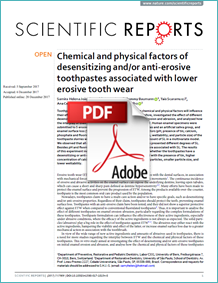 It is the first toothpaste to gain accreditation from the Oral Health Foundation’s expert panel for its efficacy at sensitivity relief and remineralisation. Read about this and other BioMin News articles. 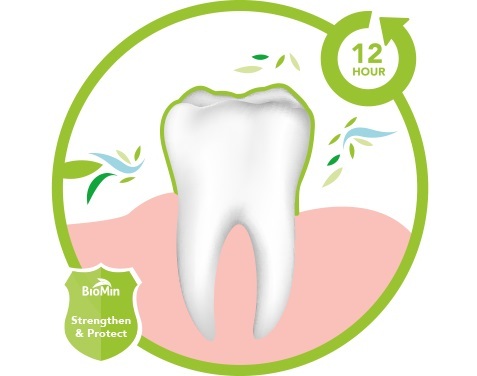 As the fluoride, calcium and phosphate in BioMinF are contained within the bioglass that bonds to the teeth, the slow release protects for up to 12 hours. The minerals release faster and give more protection as the mouth becomes more acidic from eating and drinking and it is this unique combination of minerals that precipitates fluorapatite - Armour for Teeth. Other toothpastes use a high level, soluble fluoride which creates hydroxyapatite and quickly dissolves, becoming therapeutically ineffective within 1.5 hours from brushing. This is not widely known! 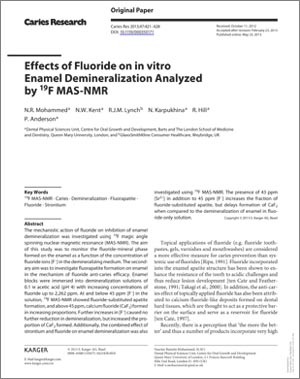 Fluorapatite is 10 times more resistant to acid attack than hydroxyapatite, so guards against caries and enamel erosion. The particles of BioMinF are smaller than NovaMin which allows greater physical occlusion of open dentine tubules with less abrasivity. The tubules develop acid resistant fluorapatite and most patients report a rapid reduction in sensitivity and improved quality of life. 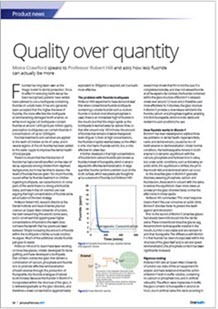 "The science is very convincing and nothing else does what Biomin does". 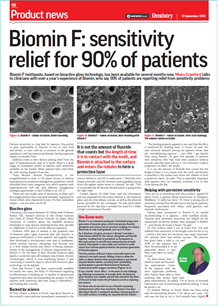 "The overwhelming majority – over 90% – got benefit from using Biomin". Click for more testimonials from dentists!